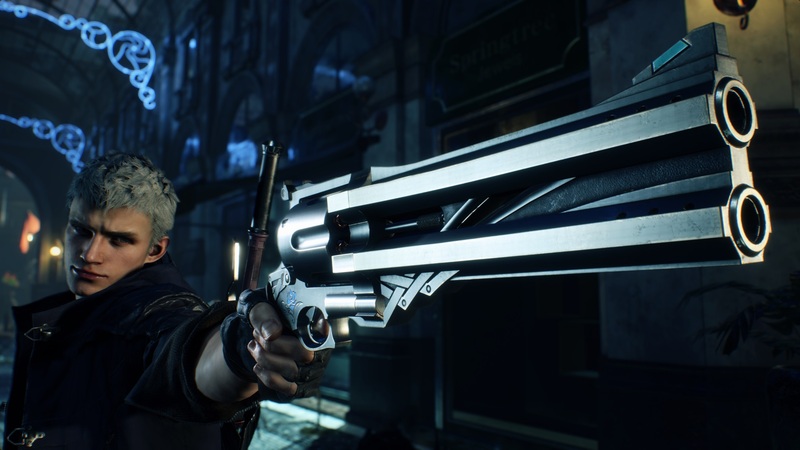 During Microsoft’s “Inside Xbox” show at Gamescom 2018, the release date for the next chapter in the legendary Devil May Cry franchise was revealed. Devil May Cry 5 is coming on March 8th, 2019. It will be arriving on the Xbox One, Playstation 4, and PC in that time, and the demonic threat has once again returned to Earth. A “demon tree” has taken root in Red Grave City, and Nero, alongside his partner Nico the “Weapons Artist” will arrive in the “Devil May Cry” motorhome. Nico will design a variety of unique Devil Breaker arms to give extra powers to tackle the newest threat. The first arm Nico makes for Nero, the Overture Devil Breaker, looks plain in style allowing Nero to wear it inconspicuously throughout the city, but the hidden electric generator inside is enough to shock any demons that come too close. Adding a bit more versatility, the Gerbera Devil Breaker generates an intense heat that can be shot out as a highly powerful shockwave which can be used as a direct attack, reflect enemy projectiles, or even to propel Nero through the air and augment his evasion capabilities. Combined with the ‘Red Queen’ sword and ‘Blue Rose’ handgun, Nero’s power is not to be underestimated. But don’t forget, Dante’s on the way on his motorbike, and it’s up to the pair to set things right in the city.